Loyal is a 2 year old Finnish Lapphund. He is working towards his CKC Championship. In his spare time he likes to play with his sister Rain, go for long walks on the beach and loves watching TV. He is new to the Rayne Diet Canine Healthy Reduction-MCS. He is absolutely loving it!! Previously, he was a very picky eater and would leave food in the bowl making meal times hard in a multi-pet household. Rayne food has revolutionized mine and Loyal’s life!! THANK YOU!! I have a 4 year old English Setter that is fed Rayne Healthy Reduction-MCS, as a maintenance diet. I have found this to be a great diet for her. Dottie is a very active dog. She does field work, Rally, obediencem and is shown in confirmation. I need a food that will look after her hair coat as well as her joints, and keep her in top shape for showing. She maintains a very lean body mass, and this food allows me to feed her a reasonable amount to satisfy her "Setter appetite". I feel more than confident that her nutritional needs are being met. I would recommend this for other rialing dogs that are at risk in our practice, or as a diet food to get to a healthy body condition and muscle condition score. 2 Years ago our Australian Shepherd ˜Stryker™ became gravely ill with immune mediated encephalitis, and very nearly died. We had him at Canada West Hospital in Burnaby which has the only neurology department in BC with wonderful, talented vets. Dr. Higgins was our vet and when he came home they said they had been feeding him Rayne. The reason for my email was to say ˜thanks™ for making a great food. We use the Healthy Reductions for all our dogs. Stryker did survive, although it took a good year and half to get back to normal health, getting off all the meds etc, but believe the Rayne food helped a lot and just wanted to say thanks. His coat came back beautifully. With a bounce in his step, George has always loved going for walks and runs. With his love of exercise, he also enjoys the finer things in life. He can often be found lounging in any sun spot that he can find, no matter how small, and snuggling his head in between your legs...which is very embarrassing when he did it to women with skirts on. A few years ago, his personality began to change. He became more distant, didn't want to cuddle, went on and off his food and would growl at us on occasion. We just thought that it was him becoming an old and grumpy man. One day we thought it would be fun to do a photo shoot with him and put a batman belt around his belly. The poor dude yelped in pain, we knew there was something wrong. We found out that our poor George had a diagnosis of chronic pancreatitis, which meant he needed to be on a special diet for the rest of his life. We knew we needed to find the right diet for his needs. We tried him on the Kangaroo diet, which helped balance out his stomach and pancreas issues. However; he was still losing his muscle mass in his back legs. George still couldn't enjoy the long walks he always looks forward to. Along came Rayne's Healthy Reduction - MCS. We chose this diet because it not only has a low fat content for his specific health needs, but it is known for helping increase muscle mass. Since he is not getting any younger, he needs to build muscle back more than ever now. It has changed his life, and ours! He is now bouncier than he was before, happy to do things all of the time (still hates the car), his coat has never been so shiny, and he is even beginning to rebuild his muscle back that he lost. Needles to say, we are so very happy to have our George back! Thank you so much Rayne! Like the energizer bunny, Nyah has always wanted to go, go, go! She loves to run and jump on and over everything. Pairing exercise with daily mental training was the key to tiring Nyah out. But we just couldn't exercise her enough! Training her to run on a treadmill was the best thing we did for her. She LOVES it! With all that running, she built some really powerful legs that even Wonder Woman would be jealous of! Early on in her life, she began to develop allergies to certain foods. We knew that she had to have a diet change to prevent any breakouts. We started her on a vegetarian diet, but because of a back injury, she began to lose muscle in those powerful back legs. Although she was able to maintain her muscle on the vegetarian diet, she didn't seem to be able to build it back. As I started to eat whole foods myself, finding a whole foods option that would help her was very important to me. So we decided to look for another option and came across Rayne's Healthy Reduction -MCS. At the ripe age of 10, Nyah's powerful back legs are starting to slowly build back to where they were before. We were hesitant to put her on a new diet because of her allergies, but she has taken very well to it. No flare ups of any kind, and she loves this food more than any other food. When we take out her food dish, she now rushes to her bed and serenades us with her beautiful voice. Thank you Rayne! Percie is a 14 year old Shin Tzu who has struggled with weight issues his whole life, even though he has always been an active dog. He loved going for walks in the woods or on the beach and playing with his sister, but his interest in food is his biggest love! He will eat his food, then his sister's food and even the cat food. Unfortunately, in the last year, he has ruptured the cruciate ligaments in both back legs and was no longer able to go for walks. Since he couldn't go for walks, he became very cranky and depressed. We were introduced to Rayne Canine Healthy Reduction formula and things began to change. Not only does it help with weight loss, it also has the highest levels of Omega 3 fatty acids for joint support. Since starting the formula this summer, Percie has lost 2 lbs and has been able to go for walks again, making him a much happier dog! Congratulations on the weightloss success, Percie. Jackson came all the way from Louisiana to find his forever home with Jill & John in early 2017. He was originally found as a stray and rescued from the Animal Shelter by the wonderful people from Rat Terrier Rescue Group. 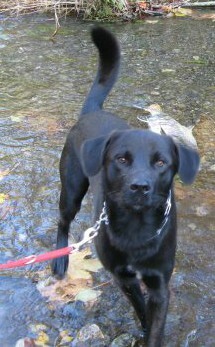 Jackson is about three years old and he is a moderately active dog. He has adapted well into the lifestyle at his new home and he doesn’t seem to mind our Canadian winters. Since arriving in his new home, Jackson has been working very hard on learning good canine behaviour as well as some parlour tricks along the way. Each day, he enjoys about 20 minutes of training time with food rewards from his daily food ration of Rayne Clinical Nutrition Healthy Reduction - MCS. For greater incentive or when a higher priority treat is required, he get the Rayne Turkey jerky #RayneRewards broken up into small pieces. They are his absolute favourite and sometimes he finds it hard to concentrate while anticipating the reward! Jackson is a healthy weight with a body score of 3/5 but he loves to eat. So, he has weekly weigh-ins to keep track and ensure that he maintains his healthy weight. He goes out for two on leash walks and one off leash run in the park each day. He also likes to swim at the beach whenever he gets the chance. Jackson goes almost everywhere with his new Mom & Dad and he is enjoying all the adventures and new places they visit each week. 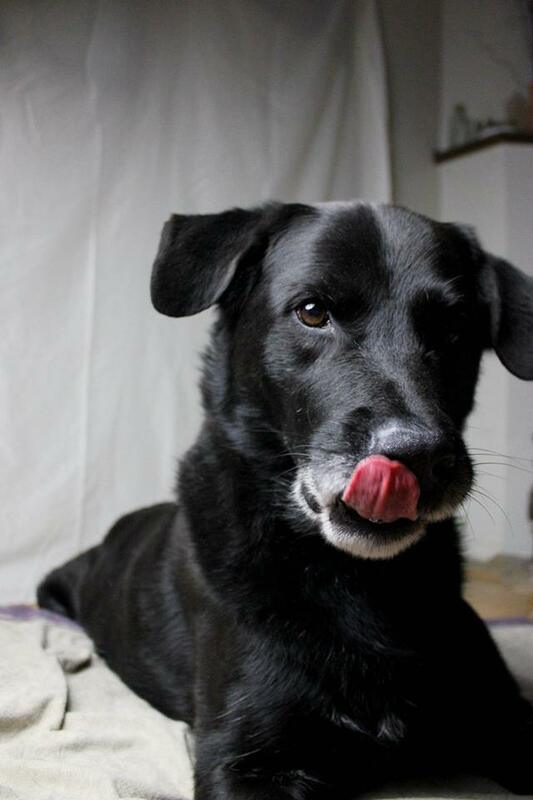 This is Chilly and he's a m/n 6yr old shepherd/ husky/ golden retriever mix eating Healthy Reduction-MCS. He started on this diet to maintain healthy weight (he is hypothyroid) and we liked Rayne's whole food approach. This diet is also more protein dense than his previous diet and he was always acting like he was starving. The first day I fed it to him in April he was really eager and took the food over the old diet. He also kept licking the bowl after finishing and still does this now. Unfortunately the next few days during transition I observed him eating his own feces...a little too eager perhaps! We quickly discouraged that habit and I'm assuming he was curious because it was new or different smelling/tasting. That has not continued. He seems to be less food desperate in that he is still eager to eat but isn't knocking me over to get to the bowl so is likely feeling more satisfied. His BCS when starting was already ideal but he seems to feel leaner when I palpate him. I've also noticed a decrease in stool volume. On his old diet he was having 3-4 BMs a day and now goes 1-2 times. That is certainly a positive for clean up duty! Thanks for introducing him to your new diet! 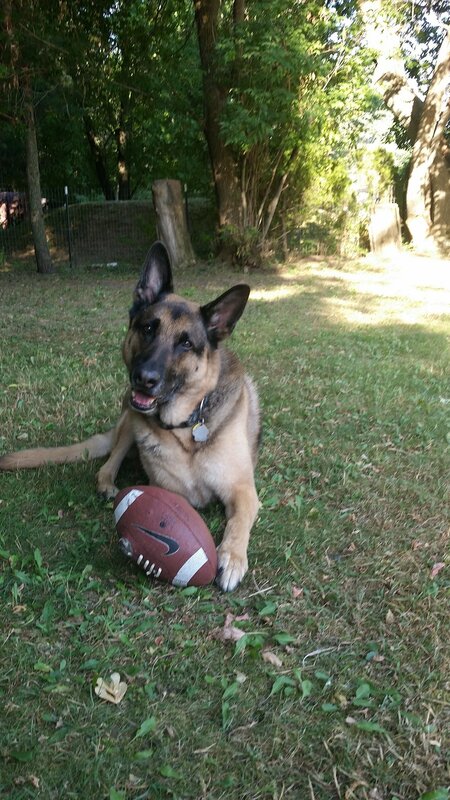 Vimy is an 8yr old GSD that had bilateral TPLO back in Sept 2015, He had a long recovery and he lost alot of muscle. He is a very active boy and loves to play ball so being out of commission for almost 4 months was very hard on him. He has been on the Healthy Reduction-MCS now for approximately 2.5 months and he is doing great! He is lean and has gained back his muscle, his coat is shiny and soft and he is back to playing ball and going for his daily walks. I am loving the food for him and the fact that he now actually looks forward to meal times! When our pets are our babies it's hard not to give into them however, sometimes this plays havoc with their health. Although we never fed Quincy a bunch of human food he did tend to get crusts off toast and was the main clean up after kids and friends were over. I thought by putting Quincy on a more healthy meal plan, he would be missing something, but we soon learned that eating healthier is better. 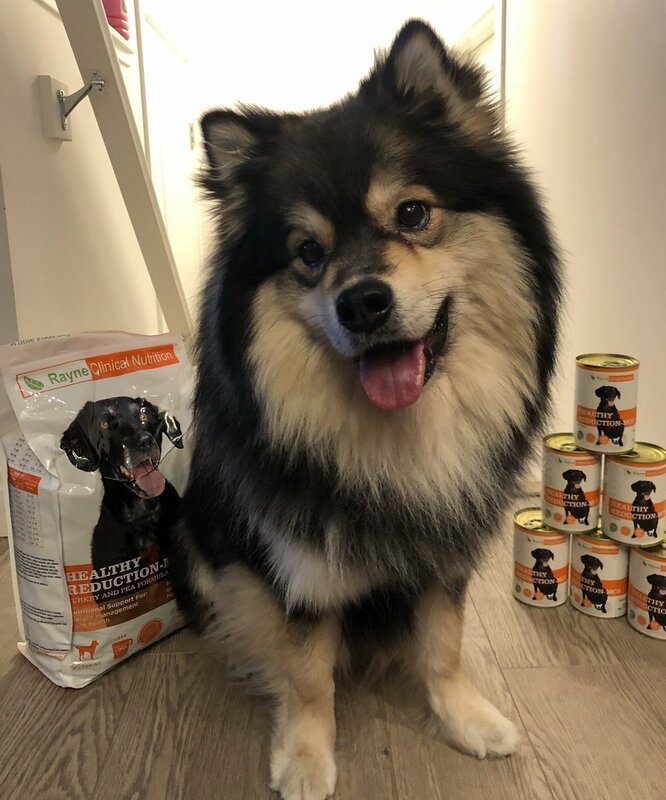 The protein and quality ingredients in the Rayne food helps Quincy feel fuller longer and has really helped with his weight loss. It is 4 days shy of a month on Healthy Reduction-MCS and Quincy has already lost 8lbs! The before and after photos are amazing. Quincy is more alert and is getting his spring back in his step. We will continue to update everyone on his continued progress and we are excited to see what the next month will bring. Quincy still has a ways to go but he is definetly on the right track and we couldn't be any happier. Thanks to everyone at Rayne for your support! Good Bones Dog Rescue and senior Puggle Lily wish to profoundly thank Rayne for producing a high quality Healthy Reduction-MCS to help us save Lily's life. She is now full of energy ,can run and play, jump up , sleep in a ball it's amazing! She really loves her food and has lost weight safely without affecting her muscles and joints . She now has a great quality of life with regular walks , healthy treats and portion control. She still has 1.5 pounds left to lose but she will be in beach body form my summer. Thank you! These 3 characters are named Patches, Brutus and Tucker. They’re fun loving and busy guys who just love hanging out with the whole family and they’re up for any kind of action they can find from going on hikes to playing fetch to just following us around the house. 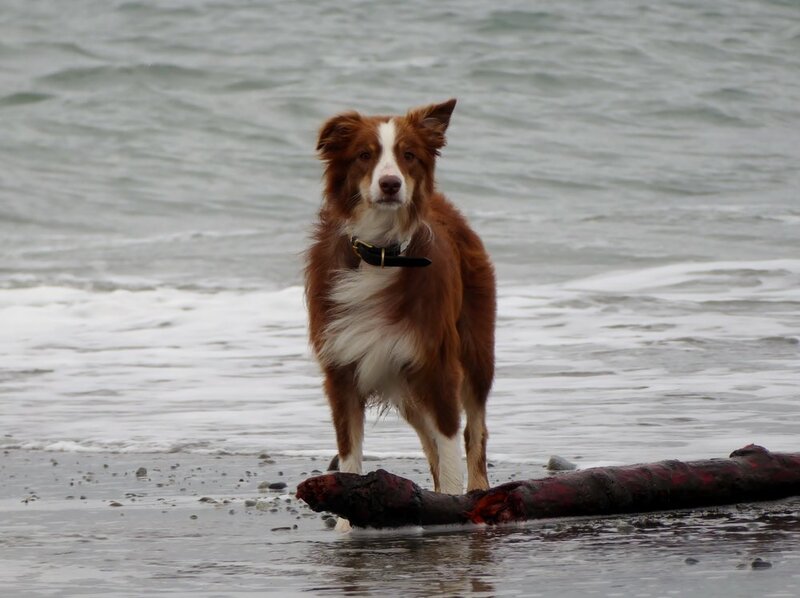 Border collie Patches is almost 14 years old and had lost some muscle mass and his joints were stiff and sore. He’s been eating Healthy Reduction MCS for 7 months now and he has added muscle and is less sore than he was. He can fly after a ball more like his old self and has an easier time getting around. Brutus the Pug is 12 years old and since he’s a Pug has a tendency to gain weight. He eats Healthy Reduction to maintain his lean muscle and keep his body fat level down. He’s doing great and can keep up with his larger brothers plus his coat is shiny and it feels like silk it’s so soft. 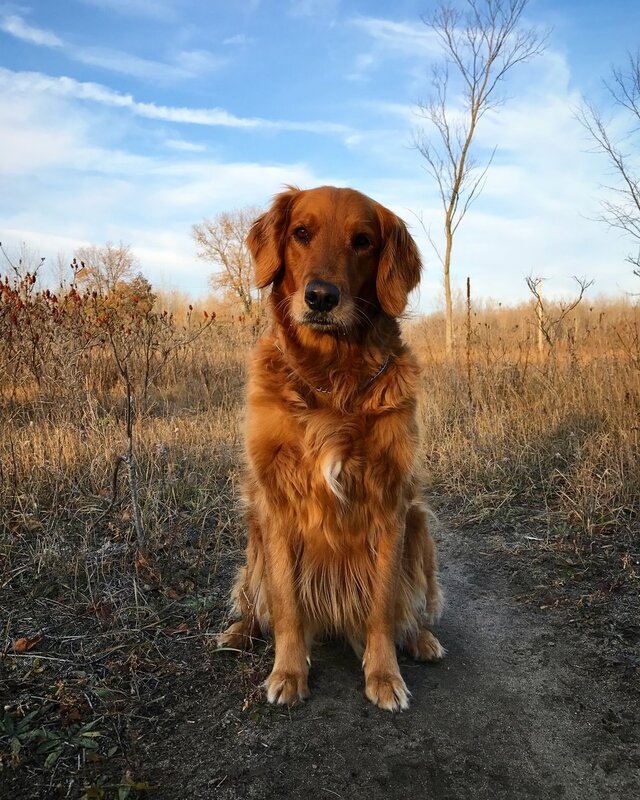 Tucker the Golden Retriever is 3 years old and before he started on Healthy Reduction he was overweight. He’s been eating this food for 7 months and loves it. We love the fact that he has lost 12 pounds and looks amazing! He’s had no trouble maintaining his new healthy weight and has tons of energy to do his favourite things like chase geese and search for sticks and balls to carry on hikes. At 7 years old we started to notice that Baylen was showing signs of aging. As a family, we have always had golden retrievers and we spotted some tell tail signs that she was becoming a senior. Over a year ago our Veterinarian started Baylen on Healthy Reduction MCS to support her hind end and give her a healthier waistline. We are so pleased to see Baylen keep up with her 3 year old best friend Edith while swimming all summer and running in her favourite park! For the first time in her life she has a rich coat and healthy stool. She still gets lots of Apple Pumpkin treats to boot!